How racist was your neighborhood? 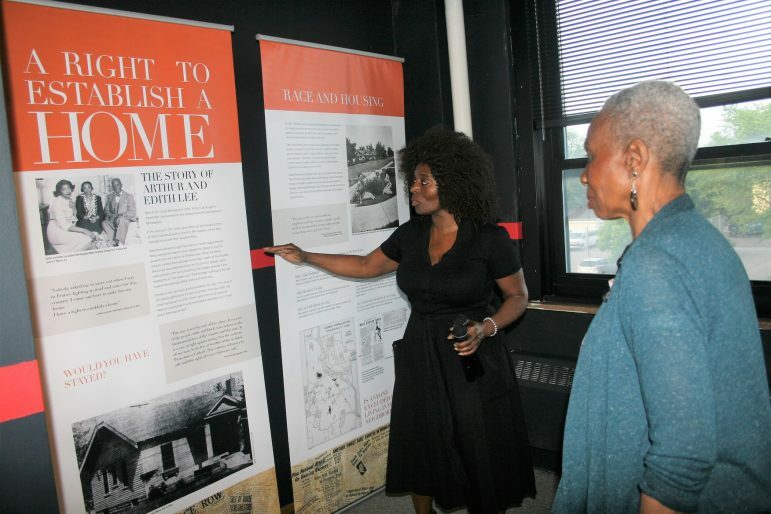 Pat Anderson, Sabathani enterprise director, shows Jewelean Jackson the Arthur and Edith Lee exhibit in Sabathani’s Community Room after the event. Lee’s family was terrorized by White mobs in 1931 when they integrated an all-White neighborhood in South Minneapolis. Lee’s predicament was cited in the Mapping Prejudice presentation as an example of how, even if Black families were able to buy property without racial restrictions, they were often met with White violence.